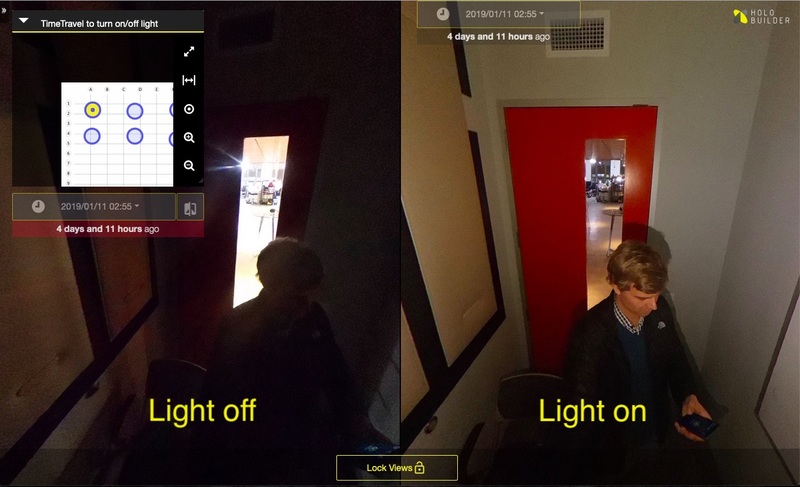 With a simple light you can drastically improve the quality of your 360° photography in dark environments. Photography is often only as good as the lighting conditions allow, and 360° photography is no exception. This means that dimly-lit rooms might result in low-quality photographs unless you take additional measures. Fortunately you do not have to leave lighting to chance and can use simple but effective tools to improve your JobWalks. Below is a short presentation of the R-PAL Personal Area light that we list in our Hardware recommendations. 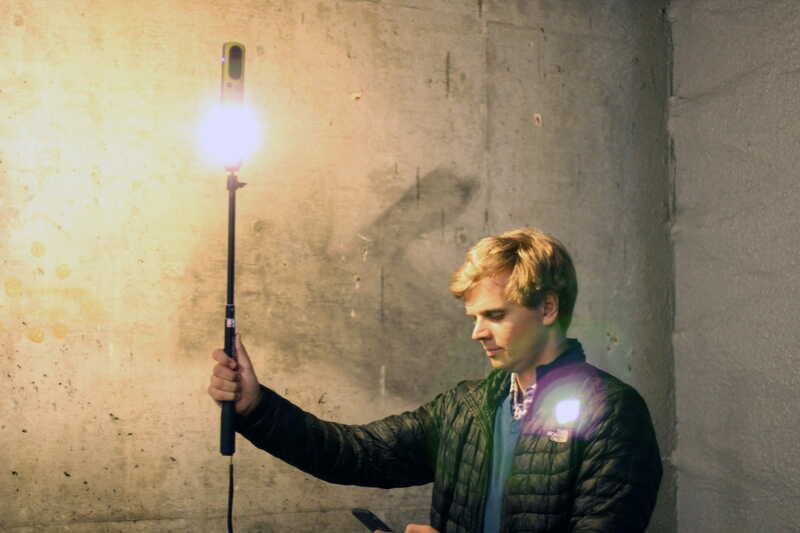 We recommend this light because it is fairly small, can be attached to tripods easily and offers 360° illumination. As you can see in the setup photo, the R-PAL light is placed in between the 360° camera (a Ricoh Theta V) and a monopod. Of course all other cameras and stands with compatible mounting standards can be used as well. In the example below the light is attached to the camera with a standard 1/4"-20 male tripod screw. All put together, you can then continue with the capturing process as shown below. The JobWalk procedure itself does not change, but the quality of the captured materials in dark areas will drastically improve. To see what improvements can look like under real conditions just consider the example below. You can also open an example project with more comparisons.